Compare with the second picture here. The door is open and #435 awaits your arrival on Saturday for delivery. .... As you can see, the door panel is on, and I've solved the light above the radio issue. ….. Otherwise, it's been an interesting project and we thank you for giving us the opportunity to show you what we can do at the Werkshop. I think it's safe to say you now have the finest M1 in the world. I suspect if you put it side by side with a brand new one, it would look every bit as good, and better in many areas. 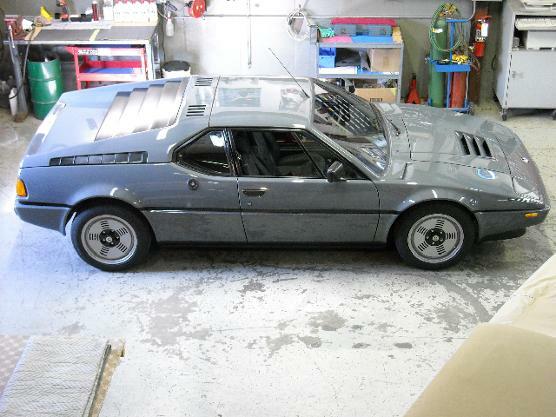 I like the “finest M1 in the world” bit. I wouldn’t make a claim like that myself but I feel it is OK to quote Tom. It is my plan to add glamour shots of NameLess with some Chicago landmarks as a backdrop as soon as weather clears up. This might be awhile since it is November and it is Chicago. Here are a few pictures of the finished product none the less.